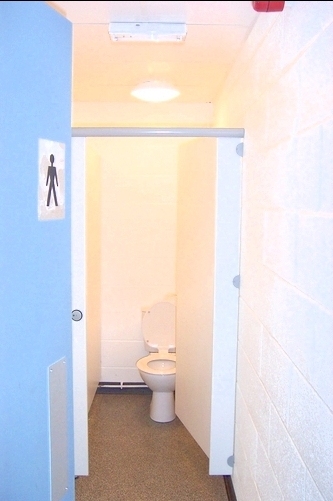 Hampshire Mezzanine Floors frequently refurbish existing toilets in commercial buildings or design and build new. 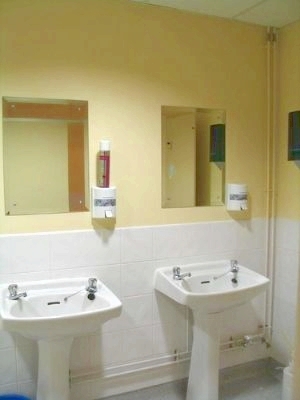 A toilet refurbishment generally consists of toilet cubicles, urinals, vanity units, hand dryers, mirrors and vinyl flooring. We also take care of all the power supplies and plumbing, using corgi registered plumbers only. 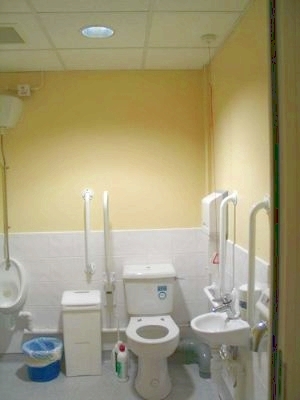 We are familiar with disabled toilet regulations and design these accordingly, incorporating all the necessary accessories in a Doc M Pack, including grab rails. 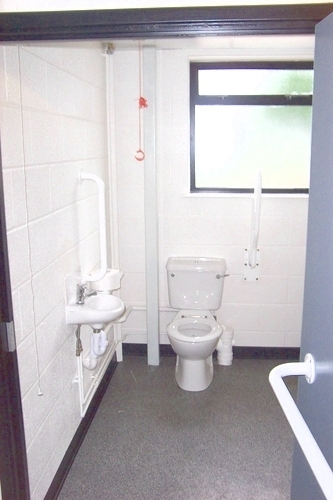 Hampshire Mezzanine Floors also supply disabled toilet alarm systems where necessary. 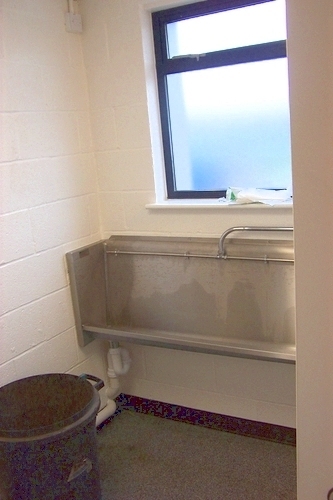 For more information on your toilet refurbishment, please contact us to arrange a site visit.